While you probably know by now that fall isn’t my favorite season, there are a few good things that come from it—namely apples, colorful trees, and updated cozy wardrobes. 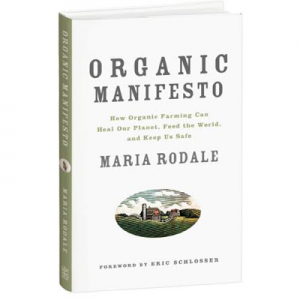 With every fall comes fall fashion and New York Fashion Week, but instead of celebrating catwalks and couture, Rodale’s has been celebrating its own fashion event: Organic Fashion Week (#OGFW). OGFW is all about highlighting fashion that’s beautiful, wearable, and mostly importantly, made sustainably with organic materials for real people. I love, love, love this dress! 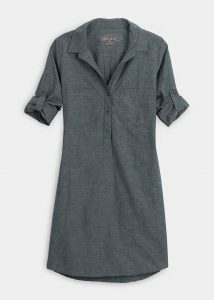 It’s an easy-to-wear organic chambray shirtdress that makes morning dressing so much simpler. Add boots, leggings, and a vest to make it the ideal piece for fall festivals, parades, and workdays. 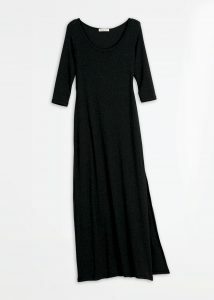 Perfect for the hostess, this flattering dress features a scoop neck and ¾ sleeves that keep hands free to prep and move. Plus, it’s made from modal, an extremely soft, easy-care, sustainable fabric made from beech trees that are cultivated using minimal natural resources. 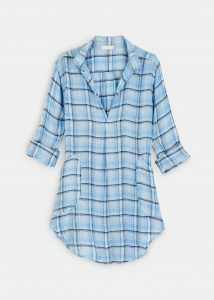 This rugged tunic riffs on the classic men’s plaid shirt, but has some unmistakably feminine flourishes. Made from natural, sustainable linen, this dress is crafted with pride in Sausalito, California, and is meant to be worn over and over again! 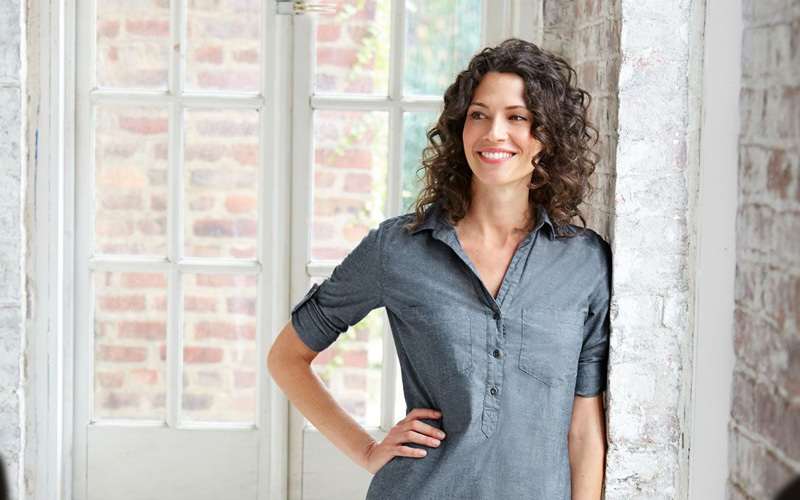 This flattering, lightweight top is made from certified-organic cotton and bamboo that’s grown organically and pesticide free and is not petroleum based. 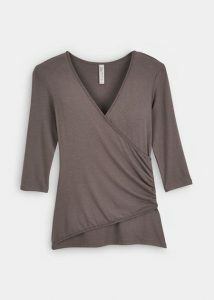 I love the cut and its breathable fabric, plus it holds up wash after wash, which makes it a great addition to any fall wardrobe. 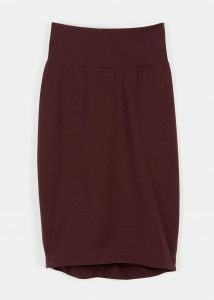 With all the elegance of a pencil skirt minus the restrictive fit, this stretchy knee grazer is slim but allows for movement—and it’s got a tummy-slimming thick waistband. 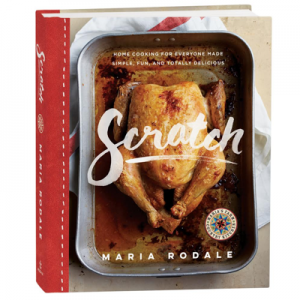 Great for fall office days that are packed with meetings. Whatever Happened to Carpe Diem?